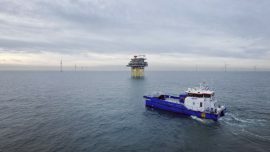 DP1 Ice Class Survey and ROV vessel SeaZip Fix is currently on its way to the Horns Rev 1 offshore wind farm in the Danish North Sea. 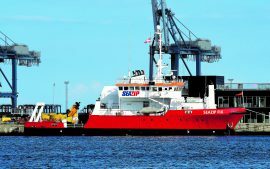 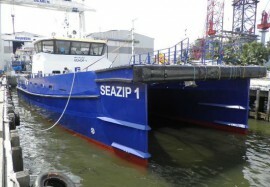 SeaZip Offshore Service and Deep Hydrography & Geophysics will jointly operate SeaZip Fix, a DP1 Ice Class Survey and ROV vessel, effective from 15 April. 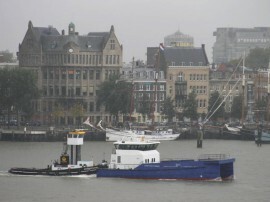 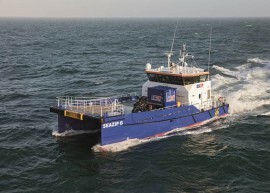 The Netherlands-headquartered offshore service vessels provider and operator SeaZip Offshore Service has appointed Tania Plank as business development manager for the UK. 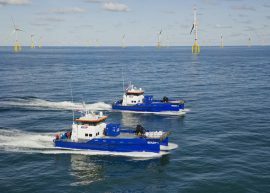 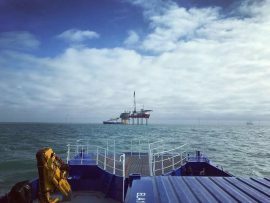 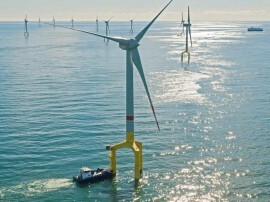 Seazip Offshore Service has posted a photo taken from its service vessel Seazip 3, showing commissioning works at the 336MW Galloper offshore wind farm off the coast of Suffolk. 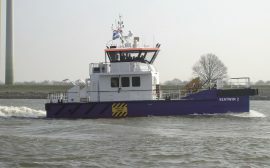 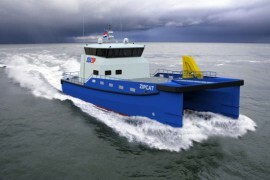 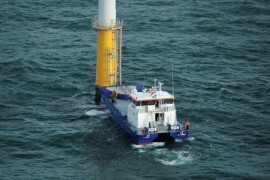 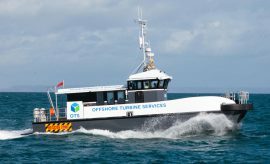 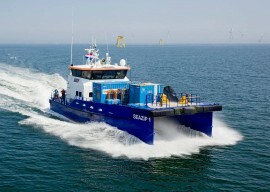 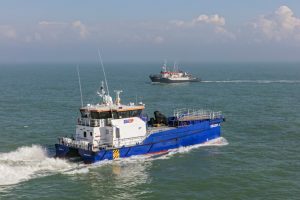 Offshore Turbine Services (OTS) are, in conjunction with Seazip Offshore Service BV, providing a crew transfer vessel (CTV) – Lieutenant P – for the construction of the 42MW Tahkoluoto offshore wind farm in Finland. 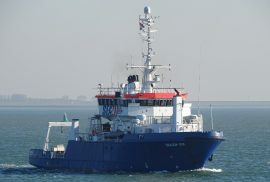 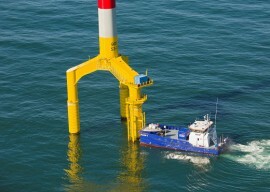 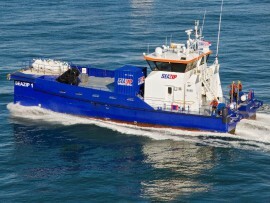 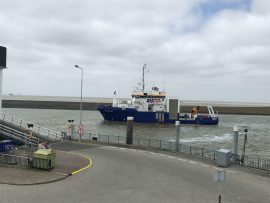 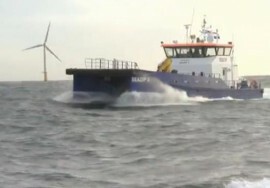 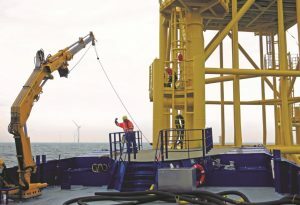 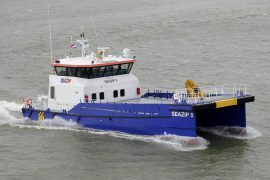 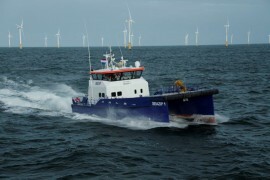 The Netherlands-based SeaZip Offshore Service has opened an office at the OrbisEnergy Centre in Lowestoft, UK, and signed a contract for the deployment of one of its service vessels to support installation work at the Galloper offshore wind farm.